The great thing about Montreal is that it's so close and so French. I would call it a poor woman's Paris, but that would be doing the quirky Quebec city a disservice. It's only so in the sense that you can get there for less money than you would by jetting to Charles de Gaulle. There are so many only-in-Quebec things that make Montreal sui generis. Like poutine. This great ambassador of the category (below) was jumping with juicy bay scallops and shrimp, a real find on the menu of The Montrealais at the Fairmont Queen Elizabeth. 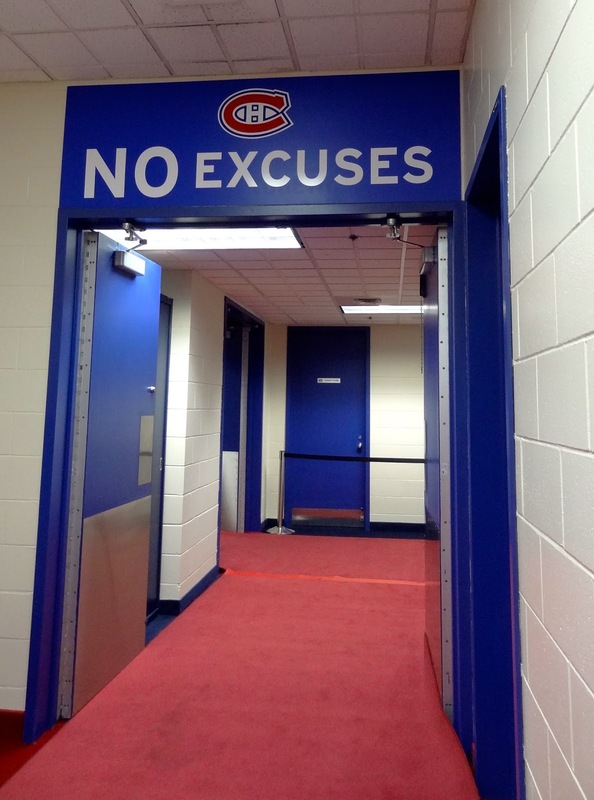 Or the Montreal Canadiens, whose glory days may live in memory only, but aren't ones to wallow in self-pity, as the team's unsentimental locker room motto indicates. (A good credo for life in general, don't you think?) 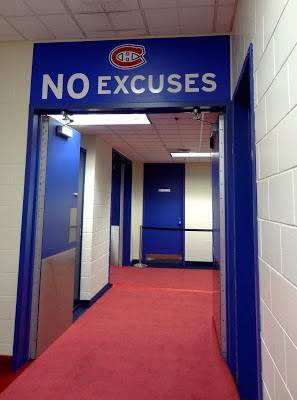 Even during a dismal lock-out year, you can pay a visit to the Habs' Temple de la Renomee (a much more accurate and evocative name than the pallid English translation, "Hall of Fame") at Centre Bell. And where in Paris would you find a cheese shop called by the Franco-British name La Maison du Cheddar, filled with an assortment of artisanal Quebec cheeses? Nor could you locate this in Paris: My favorite Montreal restaurant find, Van Horne, a fine art-filled pocket place where chef Eloi Dion oversees a kitchen staff of one other person and tuns out (at very reasonable prices) precise, detailed dishes like this compressed watermelon salad with fines herbes-infused tomato, marinated shallots, olive, capers, house-made ricotta and tomato chips. Finally, I love that delicious and chewy St-Viateur bagels are sold at the airport, so that you can take a bag home like the parting gift from an over-generous host. I didn't even make it to the smoked meat category, but that's for another post. Long live "Maison du Cheddar!" Your piece makes me want to book a trip to Montreal immediately. And Montreal bagels are yummy -- never had any quite like them. Montreal bagels are yummy, I just had one this morning. I just found out that Van Horn has a new chef, but the owners are excited about this next chapter in the restaurant's life.